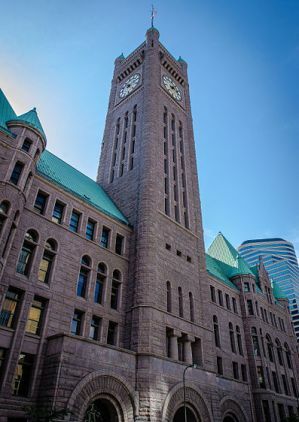 On Nov. 21, the City of Minneapolis released its first annual report on energy use in public buildings. The city will use this information to prioritize investments in its buildings to save energy and money. Disclosing the energy use of public buildings upholds the principle of transparency and sets an example for owners of large commercial buildings, who are required to annually benchmark and disclose their energy use under a new ordinance. If all 102 buildings in the report reduced their energy use by 10 percent, they would save more than $2.5 million every year in energy costs and avoid more than 15,000 metric tons of greenhouse gas pollution. Buildings in the report that could receive an ENERGY STAR score have an average score of 52. Eligible buildings are scored 1-100; 50 is the national average. Read the report online to learn more about the energy performance of public buildings in Minneapolis.